The quest for the ultimate smoothie continues, and this recipe shines with ripe, fresh fruit. 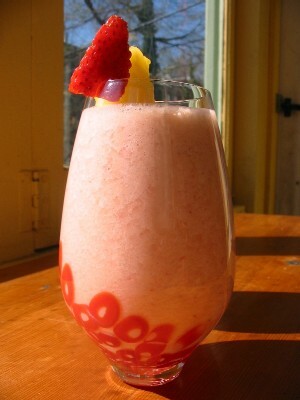 Place the pineapple and strawberries into a blender or food processor and puree. Add the yogurt, milk and honey and process until smooth. Serve immediately, garnished with fresh fruit if desired.